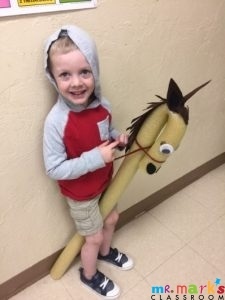 Horses are MESMERIZING to preschoolers! 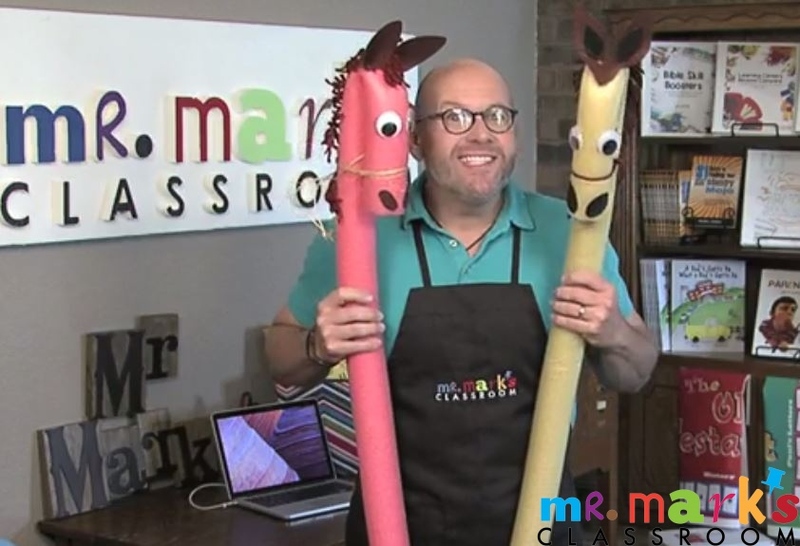 You can use these in bible stories, free play, or to get them to travel in a posse from one class to another! I assembled quite a herd of groupies as I went to our weekday preschool to ask Easton to be a model for my horse! Fold the end of the noodle down to make the head. Secure with a length of yarn wrapped around several times and tied tightly. Cut the mane and the ears as shown below in the last picture. The mane is a leaf shape with fringes cut in from the edge. Fold the mane in the middle and crease it. Run a bead of hot glue down the back of the head and press in the folded mane. NOTE: Hot glue melts the noodles. Use only as much as you need, it will make holes if you get a bit zealous. You can press the mane into the groove that the hot glue makes in the noodle and it helps it look more realistic. Fold the ears at the bottom and hot glue them on either side of the head. 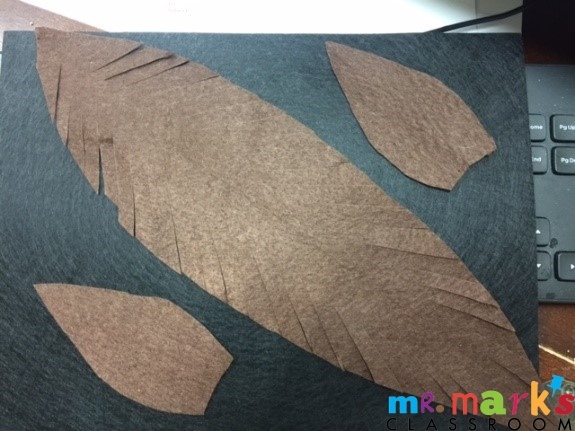 Cut the inside of the ears (smaller leaf shape) and the nostrils (ovals) from felt. 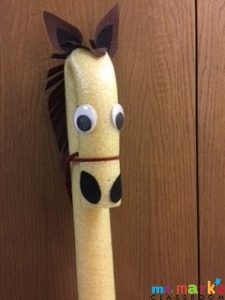 Glue googly eyes, nostrils and inside of ears to the horse. Make reins by cutting 24 inch lengths of yarn and braiding them. Run the braid through the loop in the head. Place a few dots of glue to secure. Tie the two ends of the reins together.